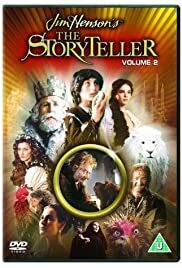 An old storyteller tells European folk tales to his sarcastic dog. A storyteller in a labyrinth tells his dog the stories of Perseus and Medusa, Icarus and Daedalus, Theseus and the Minotaur, and Orpheus and Euridyce. An anthology show featuring the work of the great puppeteer and his staff. The love of an enchanted young girl brings wonder and healing to a broken family. The Storyteller: Ears pricked that shouldn't've. This is the best television series for children (and adults) ever. 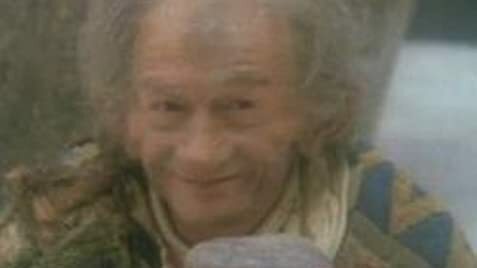 John Hurt is a great actor, with many excellent performances over many years, but he was born to play the storyteller. The scripts for almost every episode are superb pieces of craftsmanship, and the productions run the gamut of the emotions, being alternately funny, sad, happy, exciting, and always hauntingly beautiful. It is hard to pick a best episode from so many excellent contenders, but "The Soldier and Death", with its timeless pathos, is unbeatable. It is a series to watch with your children, over and over again. 33 of 34 people found this review helpful. Was this review helpful to you?